Organic biostimulants hold huge promise for the future of the green industry. Biostimulants aid in plant growth and metabolism, increase root mass, and increase soil microorganisms. They can be added to fertilizer or used alone. Almost any plant will benefit from biostimulants and can be applied to turfgrass, plants, flowers, vegetables, and trees. Organic biostimulants that are currently used include, plant hormones, vitamins, enzymes, humic acid, sugars, sea kelp, fish emulsion and other products. Their function varies with the producct. Some types stimulate soil microorganisms, reduce growth, stimulate growth, increase crop yield, and improve plant health. Currently, organic biostimualants in the plant world are similar to organic supplements to the human world. While many products are available, some products work well and others don’t. Still, many people will swear by them, even if the research shows little evidence that some products can do what they claim. The two photos above show flowers sprayed with AgriGro Bio-stimulant. The left photo is the day the plants were sprayed and right photo shows the flowers one week after spraying. They have at least doubled in number. 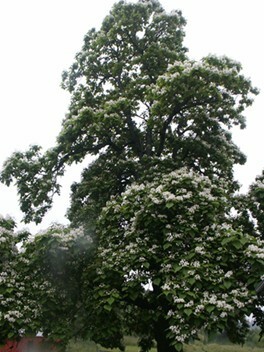 The Record Catalpa Tree in the photo belongs to Lawn Care Academy owner, Russ James. It blooms every year and is over 70 ft. tall and over 70 ft. wide. Specific organic biostimulants are included in the fertilizer used to care for the tree. Part of a red barn can be seen in the photo and gives an idea of the tree's size. A number of factors affect how they work. The quality of the ingredients, plant and soil types, plant stress, soil pH, and other factors may also play a part in their effectiveness. We are only beginning to understand how they work and why they don't always work. Plants can’t move around to find better conditions to grow in, but are subject to the soils they are planted in. Biostimulants can enhance soil microflora that help make uptake of nutrients more efficient. Others increase antioxidant activity in plants boosting internal defenses against environmental stresses and disease pressure. Hormones, depending on the type, can stimulate new growth, root development or cell enlargement. All these are designed to promote plant health and vigor. At times, depending on the type of organic biostimulant, its quality, freshness, and location of the source of the biostimulant may be important. Like most organic products, there may be a difference in how well it works depending on the above criteria. Research on How AgriGro Works. . The results above are amazing! Organic biostimulants are not the same thing as fertilizer and should not be used as a replacement for fertilizer. However, bio stimulants can cut your fertilizer use down considerably by making more of the nutrients in the soil available for plant use. See our products for the absolutely best bio-stimulants available. If your soil is deficient in a particular nutrient, organic biostimulants will not replace it. If the nutrients are there, but bound up in the soil, organic biostimulants, at times, can help to make them available. However, a good fertility program may be made better by the addition of certain organic biostimulants. Below is a list of common organic biostimulants and their properties. Where university tests have been conducted on product claims, the results of some of those tests are included. Phytohormones including auxins, cytokinins and gibberellins are the primary regulators of plant growth. Altering the ratio of one hormone to another will encourage different responses. By increasing the ratio of auxins to cytokinins, root growth is stimulated. By increasing the ratio of Cytokinins to Auxins, new shoots and blades will develop. Gibberellins affect internal structure of plants, including increased fruit size and leaf elongation. However, while the right ratio of plant hormones may give beneficial results, too much of the same hormone may inhibit the results you were hoping to gain. The conditions must be right, but many scientist suggest that it is difficult to know for sure what the right conditions really are. For example, a hormone given to a plant when it is not stressed may provide great benefits. The same hormone given after the plant undergoes stress may have a detrimental effect. Why? The plant probably uses the hormones differently during times of stress. AgriGro Organic Biostimulant adds "salicylic acid" to some of their products. Salicylic acid is a hormone that boosts the immune system and is manufactured by plants after an attack by a pathogen. By adding salicylic acid to their organic biostimulant, it boosts the immune system of plant before an attack occurs making plants less vulnerable to attack. Over time, organic gardeners begin to figure out which organic biostimulants work best for them. 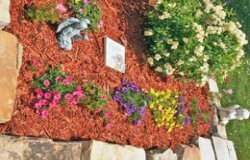 Experienced gardeners that are successful with organics are often your best source of information, especially if you are just starting out with organic biostimulants. Seaweed extract, also referred to as kelp, has been used for many years and is one of the most commonly added biostimulants in fertilizers. It can contain dozens of micro-nutrients, a few trace elements, hormones, vitamins and antioxidants. The benefits they provide are numerous. They encourage beneficial soil microbes that influence the production of available nutrients. Within the plant, seaweed extract is believed to help in nutrient uptake and increases photosynthesis and chlorophyll production. Photosynthesis is necessary for the production of carbohydrates and can increase root and blade development, reduce heat stress and increase resistance to disease pressure. Extensive tests on golf green have shown that sea kelp is less effective in the cooler weather of spring and fall. Seaweed Extract/Fish Emulsion Control Tests. In another university test, seaweed extract showed improved uptake of copper nutrient in one year old grapevines, but showed less effect on the uptake of other nutrients. Microbes consist of beneficial bacteria and beneficial fungi. Many organic biostimulants are mixed with water and can be used as root dips, soil drenches, and can be soil injected. They can also be mixed with liquid fertilizers. One of the most well known organic biostimulants are a group of beneficial fungi called "Mycorrhizae". These are actually a variety of fungi that colonize the roots of plants. The fungi absorb some nutrients from the plants, but in exchange, the mycorrhizae fungi gathers nutrients from the soil that are delivered to the roots. Mycorrhizae occur naturally and are a major influence on plant health. Small, bare-root trees are often dipped in a solution containing mycorrhizae to help establish the roots more quickly. This fungi can be purchased at many garden stores or online. Mycorrhizae is one of the most helpful tools in your organic tool box. It is use as a root dip for bare root trees before planting and soil injected or as a drench around the root zone of established trees. Every living plant can benefit from mycorrhizae. In addition, there are several species of beneficial bacteria that convert nitrogen into an element the roots can use. This may help in lowering the amount of nitrogen supplied as long as there is sufficient nitrogen in the soil. Humic acid is and organic biostimulant that is the boichemically active ingredient of humus. Humus is a product of decomposed organic material. Commercial forms of humate generally contain approximately 60% humic acid. Plants are able to grow in soils with less than optimum pH. Humic acid organic biostimulants chemically bond with metals, minerals, and organics making them slightly more available than without the addition of humic acid. It is not a mircle product, however. It is always best to correct pH problems if possible. Increases the natural defenses of plants by the addition of natural antioxidants and phenolic acid. Increase microbial activity and root development has been noticed with the addition of humate products. Increased root development can aid in heat and drought stress periods. In a complex study described in the "Soil Science Society of America Journal", (2001), humic acid showed to help in the uptake of iron and Zinc and maintained adequate levels of other micronutrients. Some classify this as an organic biostimulant, while others classify it as a fertilizer. Fish emulsion is a by-product of fish processing. It can also be homemade, but can get expensive. It is obtained when the fish is cooked and pressed to extract the oil. Other parts of the fish are also used. It tends to have a foul fish smell when first applied, but it generally only lasts a couple of days. New products with less odor are also available. A benefit that appeals to some users is that it is foliarly applied. The absorption of fish emulsion is much faster than other materials that require time for soil microbes to process the material first. In one test, fish emulsion containing high levels of organic acids may have been helpful in suppressing disease according to the "American Phytopathological Society". Seedling growing in soil contaminated with Pythium Ultimum, a pathogen responsible for damping off, appeared to be protected from the disease. Damping off occurred in samples that did not have fish emulsion. Fish emulsion can have low amounts of the three primary nutrients, nitrogen (N), Phosphorus (P) and Potassium (K). It may also contain trace elements of Mg, Ca and other minerals. Fish emulsion is a very mild, short lived fertilizer that needs to be applied frequently. Twice a week is necessary for some plants. Its low nutrient content makes it less suitable for nitrogen hungry plants. The high salt content could be damaging to seedling. Be aware that fish emulsion is acidic. In its diluted form, the acidity should not be a problem with most plants unless you already have overly acidic soil. Many organic biostimulants are good products and can make a change in the quality of turf. Certain plants may naturally respond better organic biostimulants than other types of plants. Fortunately, many fertilizers are available with added biostimulants that can often give a synergistic effect. Remember, control tests are not always perfect and occasionally results contradict each other. This is because some of the lower budget tests may have time restraints, undetermined soil conditions, and selective plant species that may narrow the results. Major universities and agricultural labs may have permanent testing sites with fewer limitations and time restraints. Compost top dressing is a fairly new practice for home lawns, but can significantly improve lawn quality when performed correctly. Get helpful advice and step by step directions for the best possible results. Humic acid is one of the most important components of organic matter. Check out the benetits using humates and how it is best used. Many lawns have problems with clay soil. The best solution for excessive clay is to amend the soil with organic matter and soil conditioners such as humic acid. This fact sheet will help understand how. An unbiased look at organic fertilizers, their disease suppression abilities, how they work and how to best use them to your advantage. 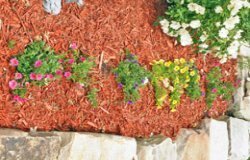 Includes detailed information on natural organic fertilizers and organic/synthetic fertilizer blends. See Why AgriGro is the Future of Plant Care by seeing the actual results of field tests.